Bolder Insurance is a locally owned company with offices in Boulder and Louisville Colorado. Brent and Jackie Friesth, along with their staff, have proudly been providing personal and business insurance expertise since 1989. 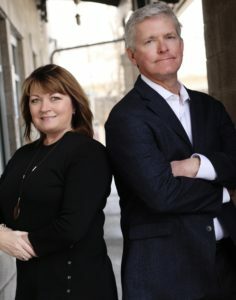 Brent & Jackie are proud to be an active part of the Boulder County and Colorado community. They have memberships in local chambers, of commerce, participate and sponsor community events, and are proud to donate to many local non-profits. The Bolder team is passionate about finding the best solutions for all your insurance needs. Because we represent many of the best insurance companies in the country, our goal is to ensure that our customers receive the most comprehensive coverage at the most competitive rates. At Bolder Insurance, we will strive to earn your loyalty and to build a long-lasting relationship. We invite you to experience the Bolder Difference! Bolder Insurance’s personal and business insurance professionals are here to help you with your unique insurance needs. We love helping our customers! But don’t just take our word for it. Read what our customers are saying about The Bolder Difference. Bolder Insurance takes an active role our local community, and we take pride in belonging to multiple professional organizations. As an independent insurance company, Bolder Insurance has the ability to shop for policies with dozens of insurance companies. We’ve helped hundreds of businesses and individuals find the best policies to fit their needs.